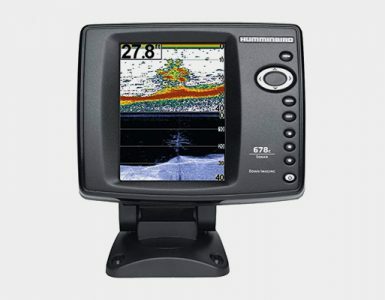 Another magnificent premium technology fish finder devices is Humminbird 999ci. The device is wisely made for them who want to invest in a dependable, convenient, and entirely functional fish finder. 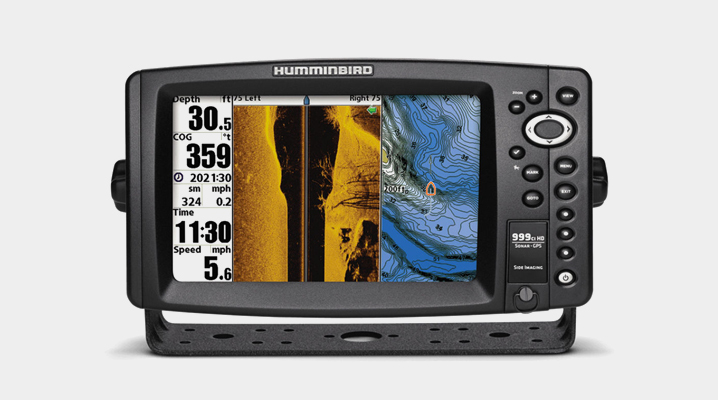 If someone is looking for such fish finders, then he or she ought to consider the Humminbird 999ci. The device comes with all of its user friendly features. 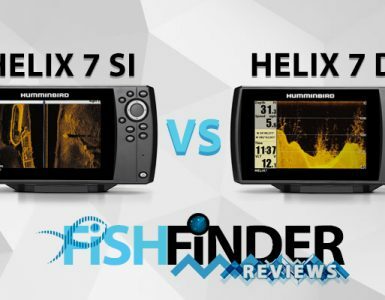 super-bright display with a 16:9 aspect ratio, easy controlling, split-screen viewing Imaging Sonar, 2D Sonar and other great advantages have made this product a perfect one for fish finder lovers. High speed processor and GPS features make an easy and comfortable way for the users. To get a perfect fish finder one can choose this particular one for one’s task. Overall performance of this product is really amazing and very high. The device is really capable of competing with other fish finders in the market. So customers are highly recommended to use this product. They will feel great and can imagine the power of this one once they have it. Because all this product care is its user’s satisfaction and works with high performance. The 999ci HD SI Combo comes with the feature of a super bright LED backlit 8″ widescreen display. This wide screen has a resolution of 480 x 800 pixel. Its colour provides vivid, bright and crystal-clear images for easy viewing in sunlight or in extreme shadow. The display ensures user’s a clear view of the area around boat. Crystal clear graphics and the LCD construction will provide clear bright view even in bright sunlight, you’ll be able to see the screen perfectly. The screen is made with high definition. The display ratio of this device is 16:9. It sounds great for the customer and this product has a better display than many of the other fish finders in the existing market. This device has been arranged in such a way so that users can ensure to get the best and most efficient accuracy from this fish finder. This device has built in 10Hz GPS receiver. The GPS provides keeping track of the users location. Also it can be mapped on the Contour XD Map. Users are allowed to load specialist charts by using the SD cards. In this case, customers need to be assured whether the charts are compatible with Lakemaster and Navionics. To network the fish finder, users are allowed to do it with the Ethernet port on the unit. This amazing fish finder device has an optional i-Pilot link that is used with trolling motors, radar, autopilots etc. So users are going to have a vast great experience through this. The product has been arranged with side imaging feature. This side imaging feature has the ability to search to 240 feet at either side of the boat. It helps users to see the fish that exists around boat, and picks out the fish. Users can have the view of contour changes, structures and fish around boat using this feature. Downward imaging will provide the information about fish that exists under the boat and it has a capability of around 150 feet. Switchfire Sonar technology that this device uses and to record every movement it provides great performance. This SONAR recording feature allows users to quickly save to memory card and customers can take screenshots too. The screen allows users to zoom easily, also when the display is split. The 999ci HD SI Combo has been created with Side Imaging Sonar and Down Imaging Sonar. This sonar provides crystal clear images of the underwater structure and fish. The DualBeam sonar puts out up to 8000 Watts of PTP power with options. This helps to view the beams side by side or separately. A 60° beam is efficient locate fish on the bottom with premium detail. It also provides the coverage of a 240-foot section and can be seen from either side of a boat. Another SwitchFire Sonar has the ability to target fish to a depth of 1,500 feet including max mode, clear mode and three color palettes. So customers are going to enjoy it in a comfortable and premium way. Other features that the device also bears a great role in its performance. It has internal GPS system that has a 50 channel receiver and provides the facility of ContourXD mapping. So now it will help users to mark locations directly on the device screen. The device has the Ethernet port that is used to share GPS and sonar data between two units. The Ethernet is compatible with 360° imaging as well as trolling systems. The device has also dual SD card slots. Other great features that this device has been arranged with are True Arch Technology, instant image update, sonar recording system, GPS speed etc. a transom mounting type and temperature has been included with the transducer. So it can be easily realized how much premium the device is. Once you use it you can go through a great experience of fishing indeed. 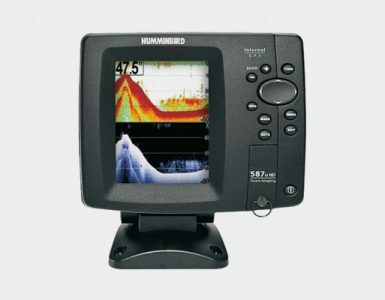 For those, willing to spend a time with high quality technology, then it is recommended to have the Humminbird 999ci HD SI Combo Fishfinder. From the arrival the unit comes with a variety of advanced tracking features. When it is come to the question of display, the 8 inch HD LED screen will serve you greatly in extreme light or shadow. Above all customers are going to have a real great experience in their fishing with this device.